Good morning. It's Thursday, April 4. • An intensifying movement to chip away at Proposition 13. • S.F. mayor faces a hostile crowd on homeless shelter plan. • And sheer pink walls at the Grand Canyon of the Mojave. PG&E announced the appointment of a new chief executive and 10 board members as the energy giant seeks a path out of the biggest utility bankruptcy in U.S. history. The new C.E.O., Bill Johnson, formerly led the Tennessee Valley Authority, where he cut debt by $3.5 billion and increased the use of carbon-free energy sources. A spokesman for Gov. Gavin Newsom said Wall Street interests were overrepresented on the new board. 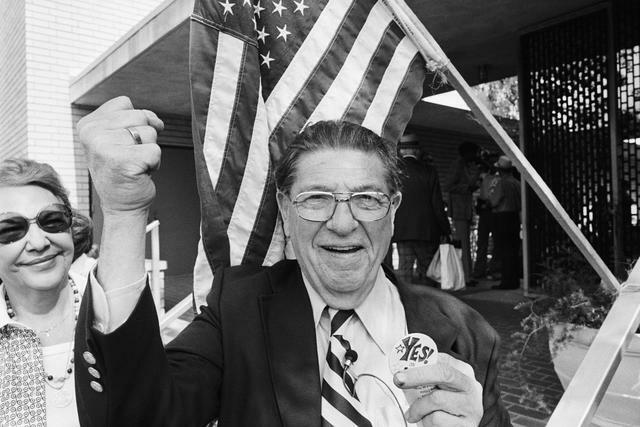 Howard Jarvis, a co-sponsor of Proposition 13, held a "Yes on 13" button after casting his ballot in 1978. For years, critics have blamed Proposition 13, the 1978 property tax revolt, for robbing governments and schools of billions of dollars. Most egregious, they say: hugely profitable commercial properties that haven't changed hands in decades — Disneyland, for example — are taxed based on 1970s-era valuations. That could change now that a measure to revise the law has qualified for the November 2020 ballot. This is what partisan score-settling looks like in Sacramento. Shortly after a Republican assemblyman subjected a Democratic colleague to a harsh line of questioning during a hearing, he was reassigned to the "dog house," a cramped cubicle on the fifth floor of the Capitol. "No Assembly member is guaranteed a particular office," Assembly Speaker Anthony Rendon said. 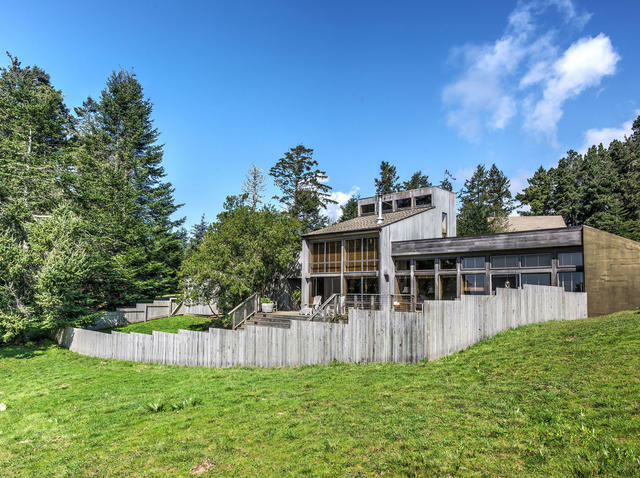 A two-bedroom home is up for grabs in Sea Ranch. A repurposed 1835 sawmill in North Carolina, a Gilded Age condominium in Milwaukee, and a 1980s house in picturesque Sea Ranch along the Sonoma Coast. Here's what you can get right now for $875,000. 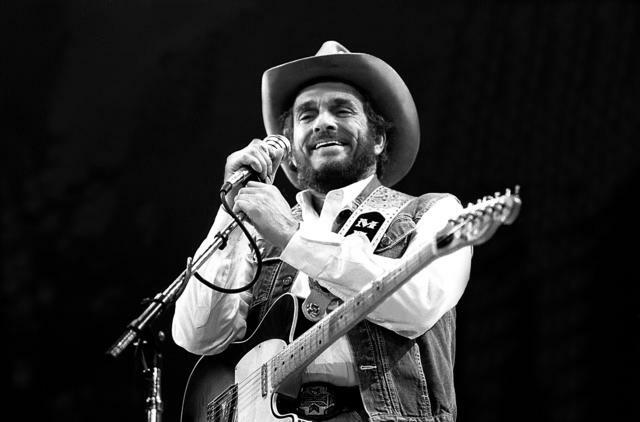 Merle Haggard performed in Fresno in 1986. Merle Haggard was born near Bakersfield on this week in 1937. The country legend got into trouble as a young man, and even sat in the audience — as convict No. A-45200 — during one of Johnny Cash's performances at San Quentin. Then in 1972, California's governor, Ronald Reagan, pardoned Haggard's conviction for attempted burglary. In an interview, the singer credited Reagan for giving him a second chance at life. "God, it meant everything," he told an interviewer. He later got to thank Reagan personally during a performance at the president's ranch in the Santa Ynez Mountains. "I hope the president will be as pleased with my performance today as I was with his pardon 10 years ago," he said. Reagan applauded enthusiastically and sprung onto the stage to shake every band member's hand. Here's an interview with Haggard, who died in 2016, talking about the pardon at One Country, and a YouTube clip of Haggard playing "Okie from Muskogee" for Reagan in 1982. The passions surrounding a proposed homeless shelter along San Francisco's Embarcadero boiled over on Wednesday night when Mayor London Breed showed up to address a packed community meeting. The fight has been seen as emblematic of the city's struggle to address its homeless crisis even as neighborhoods oppose nearby shelters. Breed was repeatedly shouted down. "I can't continue," she said finally, "but I will stay and listen to the comments. The least we could do is show respect for one another." 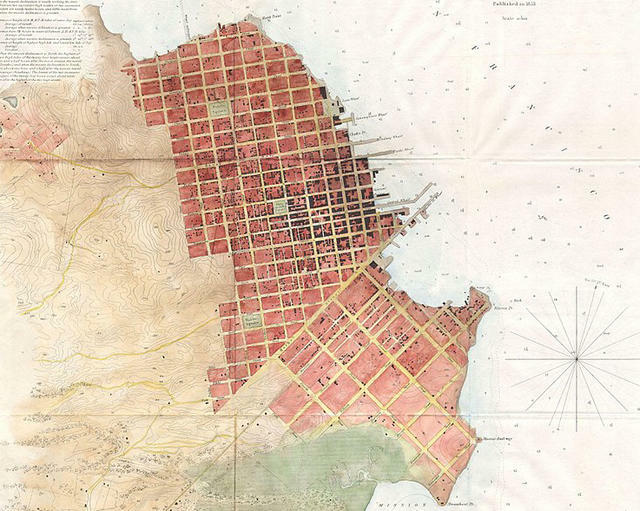 A detail from an 1853 map of San Francisco shows a grid spreading outward from the city's port, with bigger blocks south of Market Street. To understand San Francisco's housing crisis, look at the city's first zoning law, writes Hunter Oatman-Stanford. Proposed in 1870, the Cubic Air Ordinance required that boarding houses offer a minimum amount of space per tenant under the pretext of ensuring safety and comfort. Its real purpose? To criminalize Chinese renters and landlords so their jobs and homes could be reclaimed for white residents. A path toward exclusionary zoning was set for the next 150 years. People watch more than a billion hours of YouTube daily, including a mass of false, incendiary, and toxic content. Yet as recently as 2017, the Bay Area company employed less than 20 people on its team overseeing content policies. Bloomberg interviewed numerous current and former YouTube employees and found a culture that disregarded red flags about toxic content for fear of subverting its primary objective: engagement. 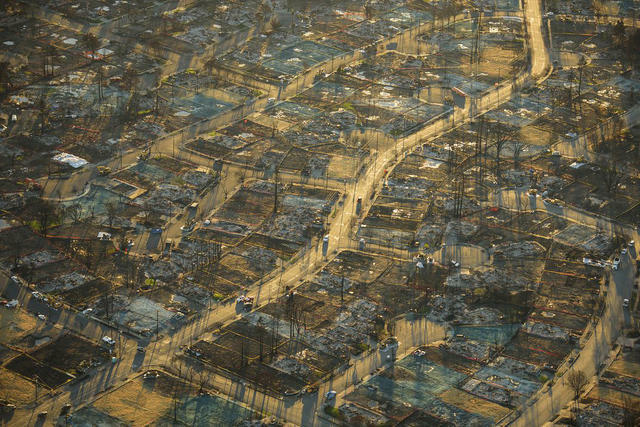 Selected from more than 48,000 entries, a photo of the Santa Rosa wildfire aftermath by Jassen Todorov won Smithsonian magazine's "American Experience" award. The Press Democrat has been tracking the rebuilding effort since the 2017 Tubbs Fire. At last count, 253 homes had been rebuilt, with 1,645 under construction. More than 5,600 structures were destroyed. Castello di Amorosa opened its doors to the public in 2007. California may not be known for castles, but we have a few. One of the most peculiar rises from Napa Valley. 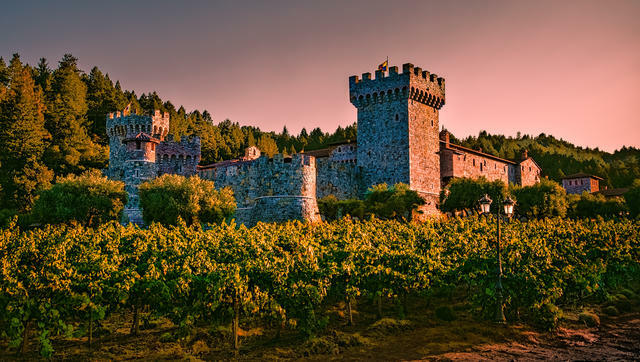 Meticulously built by Daryl Sattui, a wealthy vintner, Castello di Amorosa is a 121,000-square-foot replica of a medieval Italian castle, complete with a drawbridge, torture chamber, and defensive stone towers that took nearly 14 years to build. Sattui acknowledged that no rational person would undertake such a project. "I have a philosophy," he once told the L.A. Times. "Average people can do great things if they don't know they're average." TripSavvy has a rundown of six castles worth a visit in California. 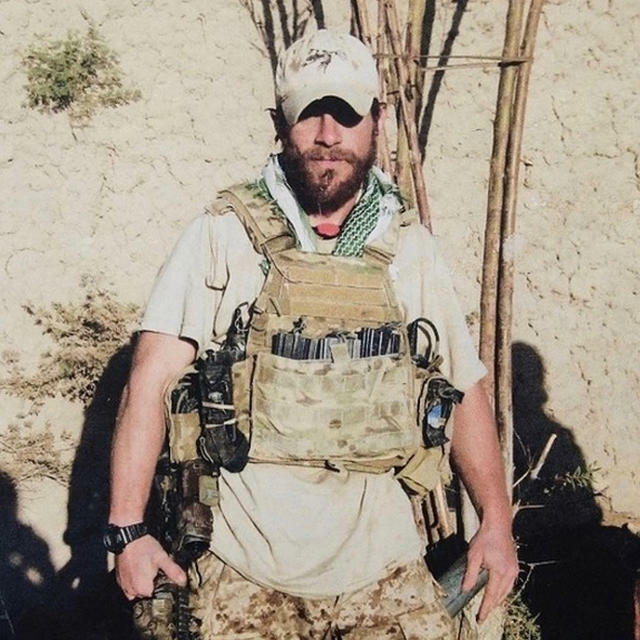 President Trump has taken an interest in the case of Eddie Gallagher, a Navy SEAL at Miramar who has been accused of fatally stabbing an unarmed and incapacitated Islamic State fighter in Iraq in 2017. The editorial board of the S.D. Union-Tribune urged Trump to stay out of it: "We acknowledge the terrible stress of war," they wrote. "We also agree with the Pentagon: These circumstances don't excuse a SEAL deciding to execute someone in custody." For months, Los Angeles County Sheriff Alex Villanueva has been criticized for reinstating a deputy accused of domestic abuse and stalking. Now Villanueva has rehired a second deputy, fired last year for using unreasonable force. The deputy, Michael Courtial, yanked a man from a truck, threw him to the ground, and punched him repeatedly, according to law enforcement reports. 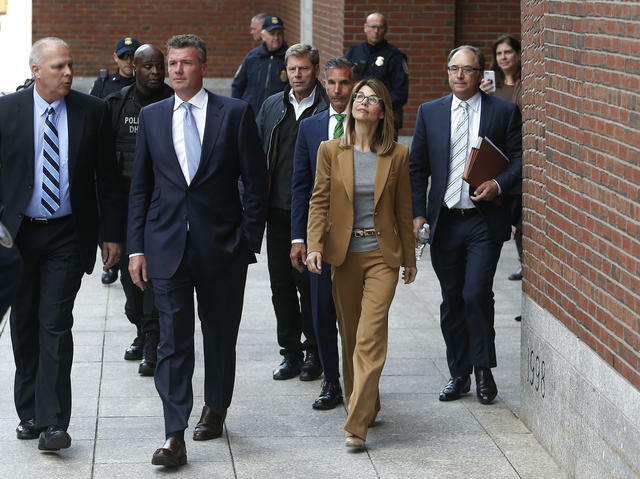 Lori Loughlin and her husband Mossimo Giannulli, in green tie, left court in Boston on Wednesday. Felicity Huffman, Lori Loughlin, and other parents appeared in a packed federal courtroom to face charges in the sprawling college admission scandal. They said little and were not asked to enter a plea. "They look like ordinary people," one onlooker, 74-year-old Ruth Fisher, told the L.A. Times. "I expected them to look like movie stars, but they looked much smaller in person." Separately, a packaged-food entrepreneur from California became the first parent to plead guilty in the case. 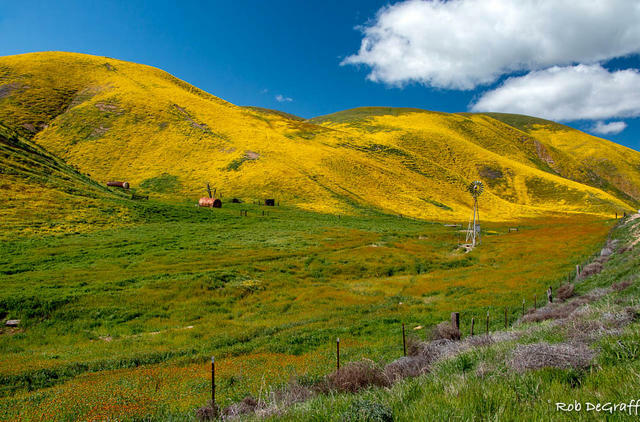 A pastoral scene in the Temblor Range at the edge of the Carrizo Plain National Monument. 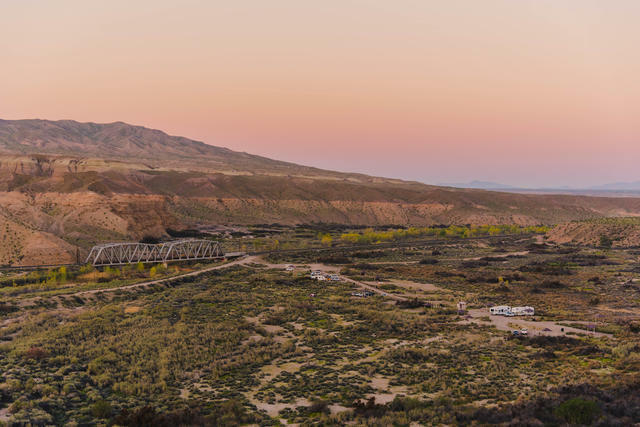 Here's a view of Afton Canyon, located east of Barstow within the Mojave Trails National National Monument. Sometimes called the Grand Canyon of the Mojave, the area's pink walls were carved more than 12,000 years ago by massive floods. The Mojave River continues the carving today, and visitors may spot desert bighorn sheep grabbing a drink from its banks. KCET included Afton Canyon in its list of "11 places you have to see in the California desert."